I can go and come back from certain places on a half of tank. This car is pretty good on gas. It is small so it could be classified as a compact car. The fabric on the roof of the inside was coming down. As a result, I had to hot glue back up so that my passengers would be comfortable. The light on the inside of the car is not working. Some days if feels like it takes about one hour just for the car to warm up and defrost. Only one headlight works when I set them to dim. The car sits pretty low so a lot of times the front of the car hits potholes and other bumps in the road pretty hard. The air conditioning blows pretty well. Some days I have to turn it down only because is gets cold quickly. The trunk space is quite large. For a compact car. My vehicle has been very reliable, Still gets good mileage, is quite. Easy and comfortable to drive. It. Performs very well in all types of. Conditions. If I were to buy another. Vehicle, I would definitely consider. Another Nissan Sentra probably. With more upgrades. It currently has. 130, 000 miles on the odometer. This auto is probably good for. Another 70, 000 miles. I would. Highly recommend this vehicle. To everyone. Can take front end crashes and still be a good affordable ride. Ours was bought with a salvaged title. It was a very hard it. Still has some frame warp. Rides straightened somehow. With that said. Great on gas mileage, smooth ride, it is not too stiff and great around the corners, comfortable seats and good leg room. My hubby hit a deer with this car. We were able to pull straight the frame by the radiator, new to car hood, and she still runs great. Nissan&#39;s HIDDEN SECRET!?? 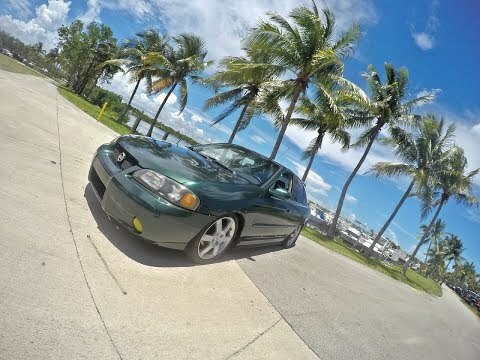 2000 Nissan Sentra SE B15 (SR20) Review!! NISSAN SENTRA REVIEW! Should you buy an 02 Nissan sentra? Is the sentra good?